Through photosynthesis, solar energy is converted into biological energy. It is often thought that photosynthesis becomes stronger as light becomes stronger, but actually photosynthesis may run out of control if subjected to an overabundance of light, causing reactive oxygen species which break the photosynthetic apparatus. To avoid this, when exposed to intense light plants have a mechanism called "qE quenching" to prevent runaway photosynthesis by converting the excess energy to heat and discarding it. Professor Jun Minagawa of the National Institute for Basic Biology in Japan said "Too much direct sunlight is a painful thing for humans, and it is painful even for plants. Being in an environment where direct sunlight pours down all year round is a big burden for plants. 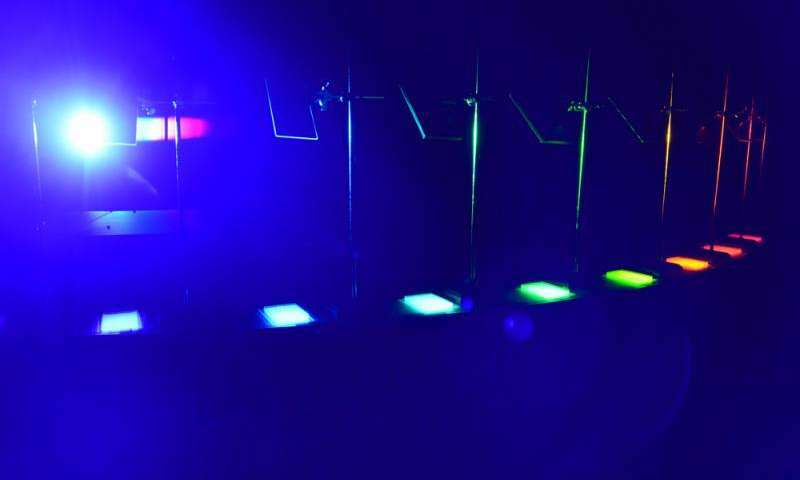 We now know that within plants information regarding the active state of photosynthesis, combined with the sensing of blue light, fit together to activate the photosynthesis suppressing 'qE quenching' system." Drs. Dimitris Petroutsos and Giovanni Finazzi of the French National Center for Scientific Research (CNRS) have said "We looked at what have so far been considered to be completely separate phenomena, the perception of blue light by phototropin, photosynthesis by chlorophyll, and light protection by qE quenching, and to find that these three systems are connected at the molecular level has made us very happy."